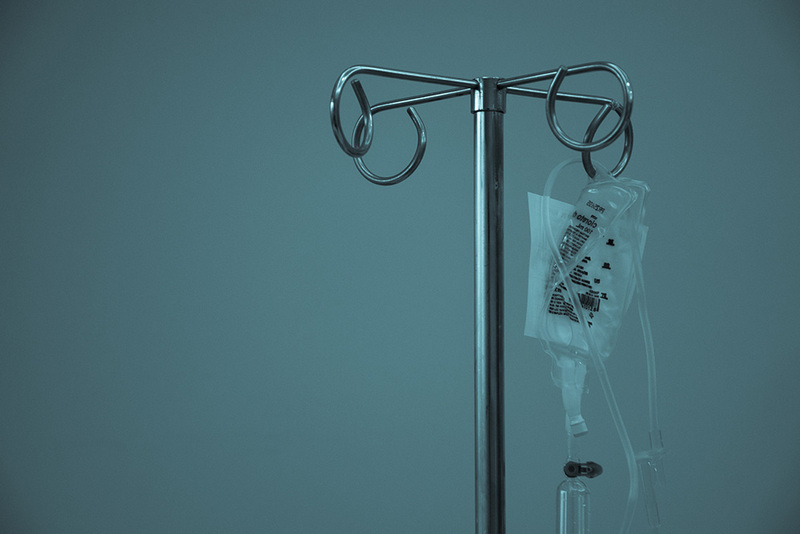 Recent research has revealed an alarming development: The number of youth admitted to the hospital for a suicide attempt or suicidal ideation nearly doubled between 2008 and 2015. The findings, published in the May 2018 issue of the journal Pediatrics, analyzed seven years of billing data for emergency room and inpatient visits at children’s hospitals in the United States. In 2008, the number of hospital visits for suicidal thoughts or suicide attempts in children and adolescents younger than 18 was 0.66 percent of total hospital visits. In 2015, that percentage nearly doubled to 1.82 percent. The co-authors of the journal article note that “significant increases” were seen across all age groups, but the highest rise was seen in adolescents, specifically the 15 to 17 and 12 to 14 years-old groupings. The data also pointed to a seasonal curve, with the fewest suicide-related visits in the summer and the most in the spring and fall. “These findings are deeply troubling and also not surprising,” says Catherine Tucker, president of the Association for Child and Adolescent Counseling, a division of the American Counseling Association. Tucker points to several factors that were in play during the time of the Pediatrics study (2008 to 2015), including an economic collapse that contributed to stress in families — even forcing some in younger generations to change career or college plans. Changing these statistics will take effort on the part of parents, schools, medical and mental health practitioners alike, says Tucker. Universal screening for anxiety, depression and trauma should be done in schools and doctor’s offices to identify youth who are struggling. “In order to reverse this trend, schools need to bolster school counseling programs and free school counselors from spending the majority of their time on administrative tasks like testing and scheduling. School counselors see a majority of American children and are in a prime position to do preventive education and identify kids who are struggling before they become so distraught that hospitalization is required,” Tucker says. This news comes as overall rates of suicide — across all ages — have been on the rise in the United States. In 2016, the country’s rate of suicide reached its highest point since 1986. W hen people think about integrated care, they may imagine a mental health care professional (or two) working in the same building with a physician or other medical professional and following a mutual agreement to refer cases to one another as needed. Others might picture a specialized setting, such as a pain clinic or cancer treatment center, where mental and emotional health concerns are addressed in relation to the medical or physical issue. However, multidisciplinary integrated care teams can now be found in hospitals, outpatient medical centers and community mental health clinics. Professional counselors who operate in these settings say that working in concert with other medical, mental and physical health professionals is the best way to provide clients with whole-person care. Integrated care facilities are often in medical settings such as primary care clinics, but this doesn’t have to be the rule. Sherry Shamblin is chief of behavioral health operations for Hopewell Health Centers, a group of nonprofit community primary care and behavioral health clinics with 16 locations in southeast Ohio. She helped to develop a system that features primary care facilities in which counselors can conduct brief behavioral interventions and centers that focus principally on mental health but also offer primary care resources. Shamblin’s thinking is that clients who already are struggling to manage serious mental health issues are often too overwhelmed to seek medical care. “If you’re depressed, you don’t really take care of yourself,” says Shamblin, a licensed professional clinical counselor with supervision designation. “You’re not valuing self-care and taking care of your [physical] health.” In addition, many psychotropic medications have side effects such as weight gain, which can increase clients’ chances of developing diabetes and other chronic illnesses, she notes. Counselors at the mental health clinics ask clients at intake whether they have a primary care physician and, if so, who that person is and when the last time was that the client saw their physician. Counselors will also try to get clients’ permission to access their medical records. That way, counselors can work with clients’ physicians to help ensure that clients are getting the health care they need, Shamblin explains. If mental health clients don’t have a primary care physician or only go when they are feeling really ill, the counselor talks to them about health and wellness and the importance of receiving regular checkups. “We try to help them view it [regular health care] as another component of staying well,” Shamblin says. If Hopewell Health Centers’ clients don’t have a primary care physician but would like to start taking better care of their health, they don’t have far to go — the mental health care facilities have exam rooms and primary care providers on-site. Having these resources readily available not only makes it easier for clients to access health care but also allows them to receive it in a setting in which they already feel comfortable, Shamblin says. The counselor (or other mental health professional) and onsite primary care provider then become a team dedicated to maintaining the client’s physical and mental health. In Hopewell Health’s primary care clinics, counselors (who are called behavioral health consultants, or BHCs) play several roles. In some cases, the BHC is brought in to help the client manage a chronic illness. For example, Shamblin says, a primary care physician might see someone whose diabetes or high blood pressure is not under control despite treatment. This would provide an opportunity for the physician or nurse to explain that they have a colleague on the team who might be able to help the patient with this struggle. They would then ask if the patient would like to meet with the BHC. The BHC would then try to determine the factors that are keeping the patient from progressing. For instance, is the person not taking medicine consistently or not watching their diet? If treatment adherence is a problem, the BHC assesses whether patients are ready to change their behavior and, if so, works with them to set goals and offers ongoing support. If patients are not open to making a change in a particular lifestyle area — such as diet, for example — the BHC would work with them to identify another positive lifestyle change they could make, such as stopping smoking or getting more exercise, Shamblin explains. In other cases, the BHCs working in the primary care clinics conduct brief interventions with patients. The primary care physicians screen patients by asking questions that assess for signs of depression or substance abuse. If the physicians get an answer that concerns them — perhaps a patient saying that they have been feeling overwhelmed or depressed, for example — they ask the patient whether they can bring in someone who might be helpful, Shamblin says. The BHC will then ask brief questions to help determine whether the patient needs intervention. Sometimes patients feel better just being given the opportunity to have a short conversation about their worries, Shamblin says. In such cases, the BHC will ask if it is OK to check in with the patient the next time the person returns to the clinic. In some cases, the BHC will ask the patient to come back for a few brief counseling sessions. In other instances, the BHC determines that patients need more intensive mental health care and will refer them to the clinic’s mental health professionals who oversee long-term care, Shamblin explains. The BHC then becomes the liaison between the primary care and mental health providers and will check in with the patient periodically to see how the person is doing, she says. Hopewell Health Centers was created in 2013 when two organizations, Family Healthcare Inc. and Tri-County Mental Health and Counseling Services Inc., merged in order to provide integrated care. Shamblin notes that the frequency of Hopewell Health Centers’ screenings and treatment of substance abuse has gone up with the introduction of the integrated care model. Some data have suggested that the area of Ohio where the clinics operate has the lowest depression rates in the state, she says. Wake Forest Baptist Medical Center in Winston-Salem, North Carolina, is a leader in hospital and outpatient integrated care. Just ask ACA member Laura Veach, who explains that the Wake Forest system has moved beyond the concept of integrated medicine being simply “co-located” care. In fact, the system is so integrated that Veach, a counselor educator, is a full professor in the Department of Surgery in the Wake Forest School of Medicine, a position that Veach thinks may be unique. Veach is also the director of counselor training at Wake Forest Baptist Medical Center. Though affiliated with Wake Forest University, the center also works with other counselor educator programs. Counselors are also part of integrated care efforts in the facility’s burn center, which is one of the only certified burn centers in North Carolina. Those efforts include providing ongoing counseling sessions in the burn intensive care unit and the step-down unit. Wake Forest Baptist Medical Center has also expanded integrated care into medical inpatient units, where people come in for issues such as pancreatitis, infections, pneumonia and so on. Wake Forest Baptist Medical Center has a system that scans medical records to help identify patients who might need counseling help. For instance, when patients come through the emergency room, nurses ask them about depression, anxiety, suicidal thinking or past suicidal behavior. Other patients may receive bloodwork that shows elevated blood alcohol content or urine drug screens. Veach emphasizes that these are not for legal use but to help the medical center provide better integrated care. Some people may have elevated liver enzymes, which can be a sign of alcohol abuse, she continues. The medical records also include the physician’s account of what the patient’s complaint is. The chart-scanning system analyzes all of this information to help identify and prioritize who the counselors and other mental health professionals on staff should see first, she says. Counselors introduce themselves as part of the team to patients and let them know that they are there to support the patients’ recovery and health. They then ask if the patients are open to the counselor spending some time with them. The counselors are rarely turned away, according to Veach. After reviewing informed consent and confidentiality policies with each patient, the counselors simply listen, Veach emphasizes. “We try to just be present with them, to not ask questions, to hear what they are struggling with,” she says. Veach notes that most of the medical center’s patients have never been to see a counselor before. So the counselors and counseling graduate students who work on the integrated teams at Wake Forest Baptist Medical Center are essentially educating these individuals about what counseling can provide. They tell patients they are prepared to listen to whatever the patients most want to talk about or need help with. In the medical center’s trauma and burn units, counselors stay on the alert for signs of acute stress or PTSD in patients, Veach says. After being released from the medical center, patients return for medical follow-up visits for the next six months, and counselors continue to check in and evaluate their recovery during this time. In certain cases, the counselors set up extended mental health therapy sessions with patients (scheduled adjacent to their medical visits) or recommend that they see a trauma specialist, such as someone trained in administering eye movement desensitization and reprocessing therapy. Many people undergoing medical treatment aren’t aware of the types of issues that counseling or addictions treatment can help them address, or they don’t know how to access those services themselves, so having counselors as part of the team at Wake Forest Baptist Medical Center is particularly valuable, Veach says. Counselors on staff can make recommendations and point patients toward other resources. For instance, Veach says, families may have been struggling for years to get a loved one into treatment for substance use; counselors on staff at the medical center can offer information on which addictions centers in the area offer family support. In the trauma and intensive care units, the teams offer dedicated support time for families two days per week. Counselors are on hand during these times to offer snacks and encouragement, Veach says. The integration of mental health into the hospital also extends to support groups, including a weekly trauma survivors’ network, a family member support group and a peer-led burn survivors group, she adds. Veach has been helping to implement brief intervention counseling services at Wake Forest Baptist Medical Center for a decade. As counseling services have expanded to be included in more and more of the center’s departments, she has been surprised at how receptive medical patients are to counseling. She says she has witnessed “a deeply heartfelt responsiveness” on the part of patients to being heard and understood. In addition, surgeons have begun to tell Veach how valuable counselors are to the team. They tell her they are heartened to see patients getting care from counselors that they, as surgeons, can’t provide themselves. Marcia Huston McCall, a national certified counselor and doctoral student in counseling and counselor education at the University of North Carolina at Greensboro (UNCG), spent several decades in health care management before becoming a counselor. She worked in the finance department at Massachusetts General Hospital and then became the business director of several different departments in an academic medical center in Winston-Salem, North Carolina. McCall realized that the people part of her job was what she loved best and decided that a career shift into counseling would be a better fit. She entered the counselor education program at Wake Forest University and completed her practicum and internship hours in inpatient integrated care at Wake Forest Baptist Medical Center. UNCG also has a relationship with Wake Forest Baptist Medical Center, so McCall completed her doctoral internship there and continues to work at the center as a graduate assistant. “In inpatient, we screen patients ourselves, so we review all the new admissions to our floors and identify the patients we think [will] need our services,” says McCall, a member of ACA. If she notices a history of substance abuse or other mental health issues, McCall brings this up before rounds or in the team huddle. McCall and the other mental health professionals at the medical center conduct brief assessments with patients for signs of substance abuse, depression, anxiety, suicidality and delusions. In some cases, they conduct brief treatment and perhaps even see the patient a few times, depending on the length of stay. McCall also refers patients for further psychiatric or substance abuse care if needed. Counselors working in integrated care settings frequently need to use their skills to build rapport with patients. For example, a physician might see signs indicating that a patient has possible substance abuse issues and call a counselor in for an assessment. In many cases, patients will not have sought treatment for substance abuse previously and may have avoided acknowledging that they have a problem. “We’re walking in, and they may not be very interested in talking about their substance issues, particularly with a stranger,” McCall says. “We have to approach resistant patients in an indirect way and try to understand what their issues are and what they want to do about them,” she explains. In such instances, McCall says that she rolls with the resistance. Friends and family members have likely been asking these individuals to seek help, but the patients haven’t been ready to acknowledge that they need treatment. McCall validates their resistance by verbalizing the arguments they are making against getting help. She says these patients often respond to her validation by saying, “Yeah, but I really do need help.” She then asks them what they are willing to do to get that care. If these patients voice a desire to pursue substance abuse treatment, counselors at the medical center connect them with specialty resources outside of the inpatient or clinic setting. “We help them find that treatment and do as much as possible to ensure they actually get there — that everything is set up,” McCall says. Counselors serve as consultants for the medical team at Wake Forest Baptist Medical Center but also act as advocates for the patients, McCall says. A lot of bias still exists among medical personnel about mental health issues, she explains, so counselors are there to help ensure that patients are seen as human beings who have needs, no matter what they have been through. Counselors may also get called in when a physician is questioning whether a patient might need psychiatric services. The medical center doesn’t have many psychiatrists on staff, so the physicians are hesitant to call them for a consultation if there is no need for immediate inpatient treatment, McCall explains. McCall would like to bring even more of the counseling perspective into integrated care. 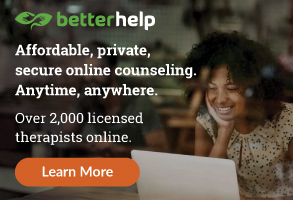 She contends that “behavioral health” is too narrow of a designation and believes that counselors should define their own roles and use terminology that is more appropriate to the counseling profession. McCall says she wants her team, as well as other medical personnel working in different integrated care settings, to be aware that professional counselors are not just behaviorists but also possess many other skills. For example, McCall envisions counselors having a central role to play in helping patients who have gotten a shocking diagnosis or who are struggling with the inherent vulnerability of being in the hospital. McCall also cautions counselors entering the field to be aware that supervision in integrated care settings is rarely provided by other counseling professionals. It is vital for counselors to maintain their professional identity while operating within integrated care, she emphasizes, even if that means pursuing additional supervision outside of the integrated care setting. Receiving ongoing supervision when working in integrated care is critical because the work can be intense and overwhelming, McCall says. Peer support and supervision can help counselors deal with stress and avoid burnout, she concludes. Some counseling students interested in integrated care are adding medical knowledge to their counseling skills. Rachel Levy-Bell, assistant professor of psychiatry and associate program director and director of clinical training in the mental health counseling and behavioral medicine program at Boston University School of Medicine (BUSM), teaches and trains counseling students to work in integrated care. The program at BUSM focuses not just on counseling but also behavioral medicine, so students take integrated care courses, learn about psychopharmacology and human sexuality, and get bedside training in getting to know the patient beyond the disease, says Levy-Bell, a member of ACA. She supervises practicum and internship students working in Boston University-affiliated clinics and other Boston community centers. As part of practicum, Levy-Bell trains small groups of counseling students to conduct biopsychosocial interviews. Each week, the 10-member group receives a list of patients and their medical issues. As the counseling students visit the patients, they take turns being the lead interviewer. Students ask patients about what brought them to the hospital and deduce whether they fully understand their condition and how their disease affects their lifestyle, relationships and work. They also ask how patients physically manage their disease, how they cope with its demands and whether spirituality or religion plays a role for them. They also assess for substance abuse. At the end of the interview, Levy-Bell asks the patients how they felt the students performed. Many patients share that they like that the students spent more time with them than the medical personnel typically do and also comment that the students are better at maintaining eye contact with them when talking and listening. Afterward, the group goes back to class to evaluate and discuss the interviews: What went right? What do they need to improve? What did they learn? 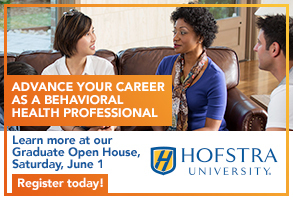 Part of the training process is getting counseling students used to working in medical settings and grappling with issues such as how to build therapeutic rapport when the patient has a roommate or when medical equipment is everywhere and beeping noises are constant, Levy-Bell says. Students are also exposed to things that they’ve never seen before. These experiences might make them uncomfortable, but they have to learn to control both their verbal and nonverbal reactions to ensure that they aren’t indicating discomfort, she says. Levy-Bell also focuses on practical aspects such as teaching students not to faint — or, at a minimum, fainting away from the patient. She also teaches students to wear light clothing (hospitals are hot), to stay hydrated, to make sure they eat and to take a break if they feel unsteady — but to always come back. Sara Bailey, an ACA member who works at Wake Forest Baptist Medical Center as part of her postdoctoral fellowship, says that regardless of whether counselors plan to go into integrated care, working in a behavioral health setting provides excellent training. In integrated care, counselors-in-training get the chance to see how other professionals such as doctors, nurses and other mental health practitioners work and handle challenges, she says. They also quickly become aware that all practitioners encounter individuals with alcohol or substance abuse problems. Counselor supervision can have quite a steep learning curve — one that often comes with several ups and downs for beginning counselors. 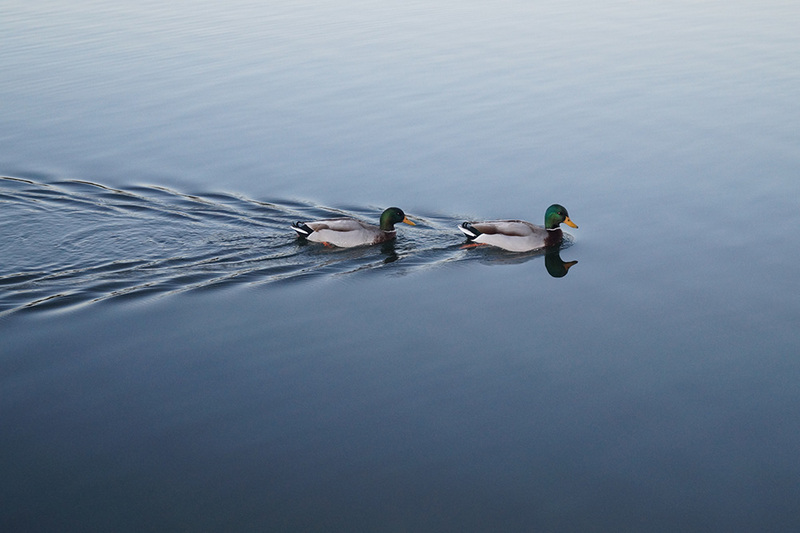 Counseling Today recently asked several American Counseling Association members about their experience navigating the supervision learning curve. They share their thoughts here so that others can learn from their journeys along the sometimes-bumpy road into professional practice. Fill in the blank: I wish I had known ________ when I was in my supervision. “I wish I had known that it was OK to think outside of the box. I am a naturally creative and intuitive person, but I tried to reel all of that in during supervision. My supervisor was very structured. I still learned a lot, but it took me many years of practicing as a counselor before integrating who I am into my work as a counselor. ” [In supervision,] I felt that I couldn’t make a mistake because it would be evidence that I’m not a good counselor. I felt scared, instead of realizing that my supervisor was interested in knowing me as a person and interested in my development. [My supervisor] wasn’t looking for me to be a fully-formed counselor, they were expecting me to be a novice, and expecting to provide modeling and encouragement for improvement. “One of the hardest lessons for me in supervision was [learning] the boundary of my own responsibility with my client. I was always wanting more [for them], feeling like I was responsible for more of their change and their experience. [Feeling that] it was somehow my fault or responsibility that they weren’t making progress in a way we wanted to see. It took some very strong and honest supervisors [for me to learn not to feel that way]. That’s a level of insight, something you can’t give anybody. They helped me find my way. One supervisor challenged me with ‘where does Kathryn end and where does your client begin?’ At first, I didn’t know that that meant. But it has really stuck with me. It’s a very common, normal part of development as clinician [feeling responsible for client change]. We can have a parallel process of that, as supervisors — feeling responsible for the growth of supervisees: Where do they begin and we end? “I wish I knew how to advocate for myself within supervision. A lot of times, I didn’t speak up when I was in situations I didn’t feel comfortable in. I wish I had known how to advocate within supervision and how to broach [tough] conversations. But more importantly, knowing how to spot a supervisor who would be willing to broach [those conversations] and model wellness. — Kerri Legette McCullough, an LPC, licensed clinical professional counselor (LCPC), doctoral candidate at Argosy University and a mental health therapist at Hillcrest Children and Family Center in Washington, D.C.
“I had learned that in clinical supervision, I would learn how to function in the role of a counselor. Here’s what I didn’t know: I did not know that it was okay to not know things — that actually, it was pretty much expected that I wouldn’t. Counselors are not immune to trauma — in fact, far from it. Many practitioners say that personal or familial experience with trauma or mental illness actually spurred them to become professional counselors. Past trauma can be either an impairment or a kind of “benefit” for counselors-in-training, depending on how much the person has worked through and processed the effects of trauma, say Pow and Amber Pope, a licensed mental health counselor and program chair of the clinical mental health counseling program at Hodges University in Fort Myers, Florida. 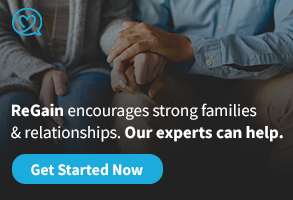 Counselor educators and other professionals in the field who have close contact with counselors-in-training should keep an eye out for red flags that may indicate that a person’s past trauma is interfering with their growth as a counselor or, in a worst-case scenario, has the potential to cause harm to clients. “Just because you’ve been through trauma doesn’t mean you can’t become a counselor. You can become a great counselor if [your trauma] is processed correctly,” Pope says. Pow and Pope co-presented a session, “Wounded healers: How to support counselors-in-training who have experienced trauma,” at the 2017 ACA Conference & Expo in San Francisco. The term “trauma” can encompass a wide variety of experiences, from an acute event to yearslong, developmental trauma, Pow explains. People who have processed the effects of past trauma — often with the help of a therapist of their own — can become excellent counselors, Pow says. Posttraumatic growth and healing from the experience can foster empathy and strengthen coping skills. “The reason a lot of people become very, very good counselors is their life experience,” Pow adds. However, people who haven’t fully processed the trauma in their backgrounds can run into trouble as professional counselors. For example, in client sessions, they risk becoming triggered by topics that clients bring up and may be unable to regulate their own emotions or other behaviors in response. These reactions can harm the delicate balance of trust between practitioner and client. Interactions with classmates and colleagues might be one of the best indicators of whether counselors-in-training have a trauma history that still needs to be worked through. During moments of vulnerability, do they become aggressive or reactive or express other strong emotions? In general, a lack of self-awareness, such as oversharing in class or being unaware of how the people around them are feeling, can be an indicator of unprocessed trauma, says Pow, who has a private practice in Greensboro, North Carolina. Also watch for attachment issues or signs of avoidance, such as skipping classes or evading one-on-one contact with a professor or authority figures, Pow says. It can also be indicative of a trauma background if students do not generally have themselves together, including missing assignments or being late to class repeatedly, Pope says. 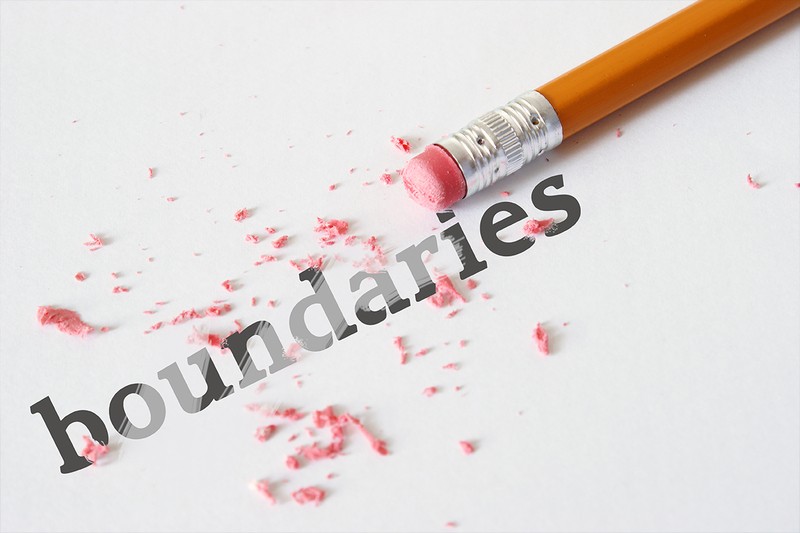 Poor boundary keeping: This may manifest as oversharing, attention-seeking or disruptive behavior in the classroom, or an unhealthy preoccupation with relationships with classmates or colleagues. Low self-confidence: Students with unresolved trauma may demonstrate low belief in themselves regardless of past successes. They may feel like they can “never do enough,” Pope explains. These students may lack motivation or even self-sabotage, such as missing a deadline even though they are capable of meeting it. Rigidity in thinking: If students aren’t open to receiving feedback and unwilling to take constructive criticism, it can be a major indicator of past trauma that hasn’t been resolved. This attitude can stem from a black-and-white way of thinking in which the student categorizes things as “all good” or “all bad” with no in between, Pope says. Everyone has bad days now and then that can set them off. However, if a student is repeatedly unable to regulate their emotions, such as becoming reactive or upset in class, it is a red flag, Pope says. “When a student is so set in their values or way of thinking that they try and impose it on others, that can stem from trauma. If they can’t become more flexible in their thinking process or relationships with others, then they’re going to have a difficult time with clients,” she explains. It is beneficial, for any number of reasons, for counselor educators to get to know and connect with the students in their program, Pope says. If a particular student seems to be struggling with challenges that could keep them from becoming a proficient counselor — such as issues related to unresolved trauma — it is better to intervene sooner rather than later. Be prevention-focused instead of reactionary, Pope suggests. The longer a student continues in a graduate counseling program, the harder it will be to check their behavior or make decisions about their future. 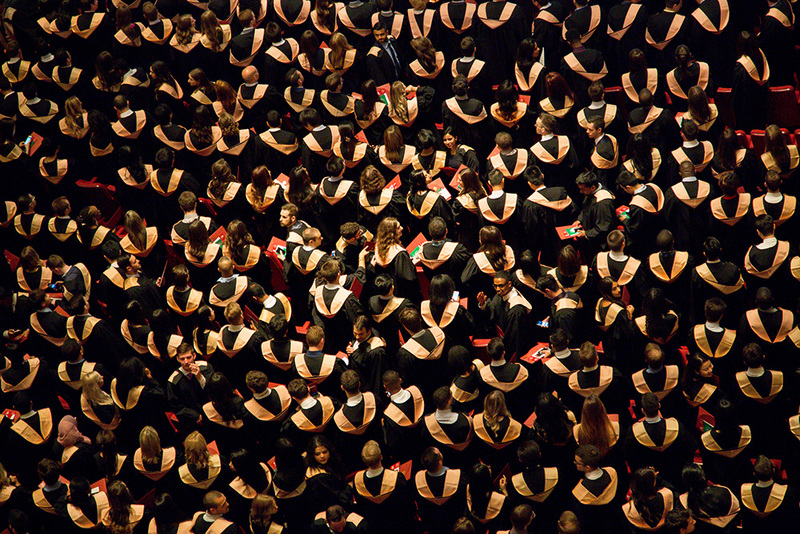 “Don’t let students waste time and money if they’re not going to be a good fit,” she says. Counselor educators who identify students raising red flags should pull them aside after class or ask them to stop by the counselor educator’s office, Pope advises. The first interaction with the student should be kept informal and light. Let them know that you have noticed some patterns and indicators in their behavior that require some attention, and ask them what supports they need to help them make improvements, she says. If appropriate, other professors or colleagues who know the student can sit in on this initial informal meeting to offer support, Pope says. Check in with the student frequently during class breaks, supervision meetings and other opportunities. Ask how the student is doing and how they are practicing self-care. This conveys to the student that the professor wants them to succeed and grow, Pope says. Pope emphasizes that this method should be applied only to counseling students who haven’t committed an egregious offense or intentionally gone against the ACA Code of Ethics. In those cases, a swifter and more formal response is necessary. If a student does not begin to change their behavior after a first informal meeting, consider meeting with the counselor-in-training again to create a formal written behavior agreement. Spell out which behaviors aren’t acceptable, why those behaviors aren’t acceptable and what they need to do to continue in the counseling program. Be specific and include a timeline of when the expectations must be met, Pope advises. If the student meets the requirements in the behavior agreement, they should be allowed to continue on with graduate school. If not, suggest that they take a semester or other time off to get the help they need, or leave the program entirely. “When a student is given feedback and continues in their behavior patterns and doesn’t make any changes, that’s showing me that the student isn’t ready to change or do what they need to do to grow professionally,” Pope says. Throughout the process, Pope says, she would recommend that the student attend counseling. 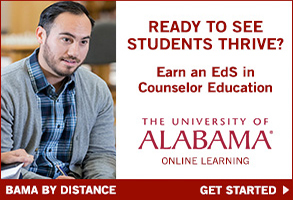 There is some debate within counselor education as to whether it is ethical to require students to attend personal counseling . 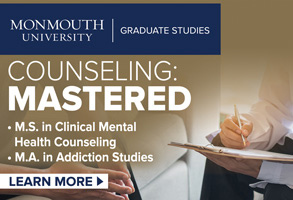 In the case of recommending a student to personal counseling, a counselor educator can request the student to provide proof, in the form of written letters from a provider, that they are attending therapy sessions and making progress to demonstrate their willingness to comply with their professors’ recommendation. “We’re very open, telling students that we [their professors] have all attended or are attending counseling, and that it’s important to be as healthy as you can be, [to] take care of yourself mentally and emotionally,” Pope says. Although sometimes uncomfortable, this process is also an opportunity for counselor educators to model what a healthy professional relationship should look like, Pope notes. It shows students that you can give critical feedback while caring and maintaining empathy. “You can give suggestions and guidance while keeping professional boundaries. They may not have had that [example] in their life before,” Pope says. Counselor educators must strike a fine balance between acting as gatekeepers for the profession and serving as mentors and guides for those who need extra support, Pope says. It’s OK for a student to come into a graduate counseling program with unresolved trauma issues. They just have to be willing to work on it, self-process and accept help, Pow says. Students who are open to self-reflection and constructive feedback can experience a tremendous amount of growth, she says. “It’s unreasonable for us to expect, as educators, that people are going to come into these [graduate] programs having processed everything that has happened to them and be completely self-aware,” she affirms. Processing and rising above trauma builds skills that are the hallmarks of a good counselor, including a strong sense of self-awareness, empathy and sensitivity. Counselors who have successfully processed their past trauma can become models for clients struggling with similar issues, Pope says. 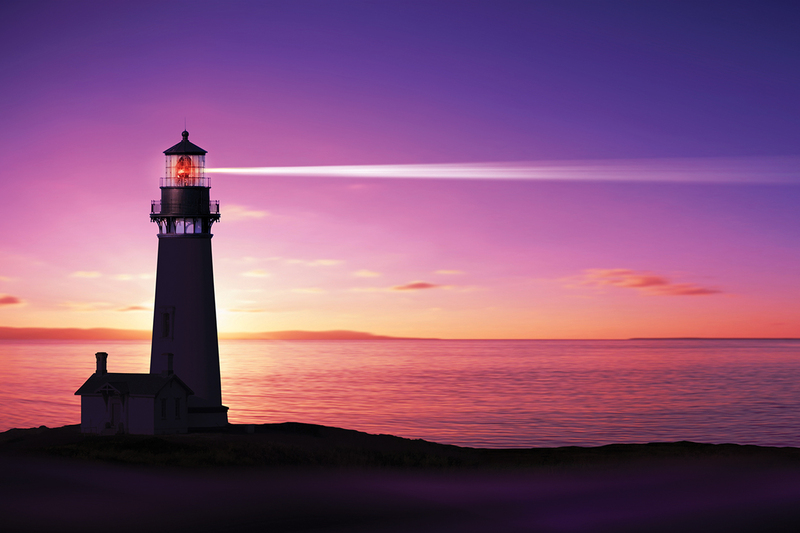 For more on supporting counselors-in-training through the supervision process, see the feature “Guiding lights” in the June issue of Counseling Today.